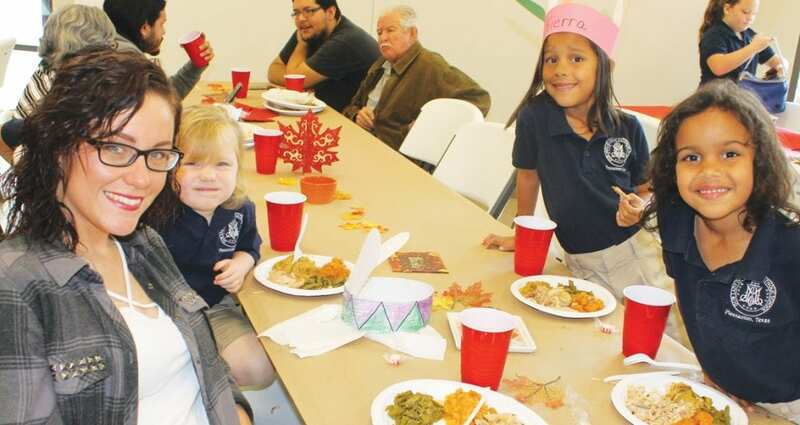 Among those attending the Our Lady of Grace Catholic School Turkey Dinner were the Del Bosque family. 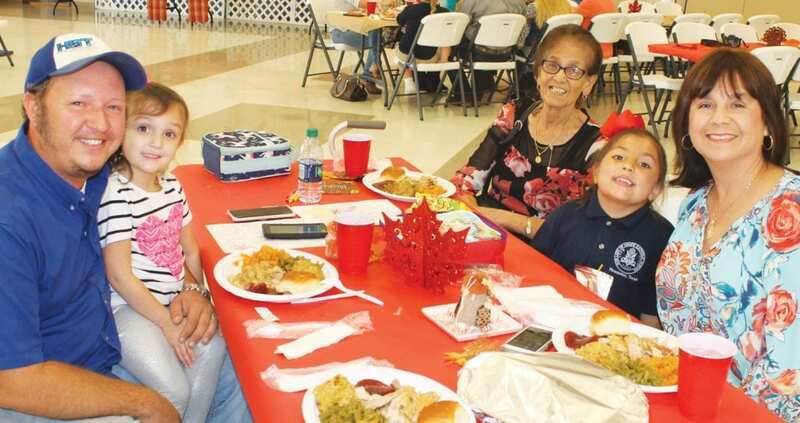 From left are DIana Del Bosque, grandmom; Ariana Del Bosque of Pleasanton and Frank Del Bosque Sr., grandad. The grandparents are from Alice. From left, Jason Rakowitz holding Kyndall Rakowitz, Mena Paez, Kinzie Rakowitz and Brenda Paez, all of Pleasanton. 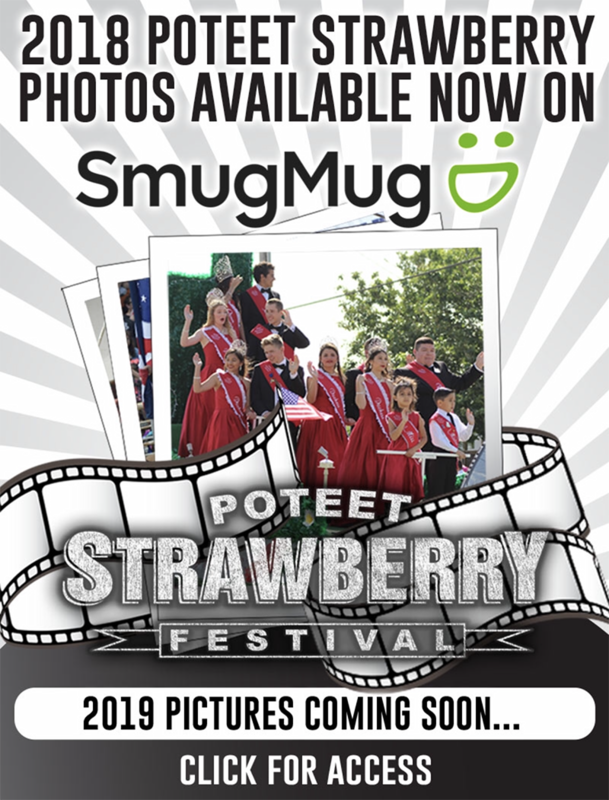 Pictured are, from left, Kayla Powell, mom; Carter Powell, age 3; Kierra Ross, age 6 and Kiya Ross, age 5, all of Pleasanton. 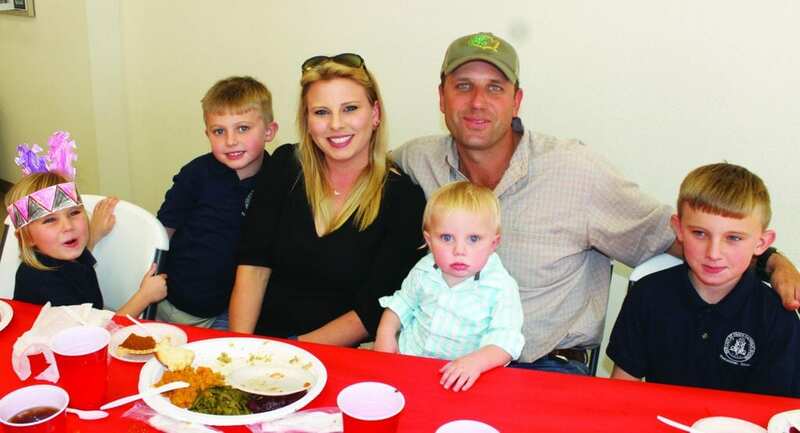 Members of the Jenschke family from Poteet are, from left: Lorelei, age 5; Peyton, 7; Crissy, mom; Chris, dad with Liam, 11 months-old on his lap and Hayden, age 11. 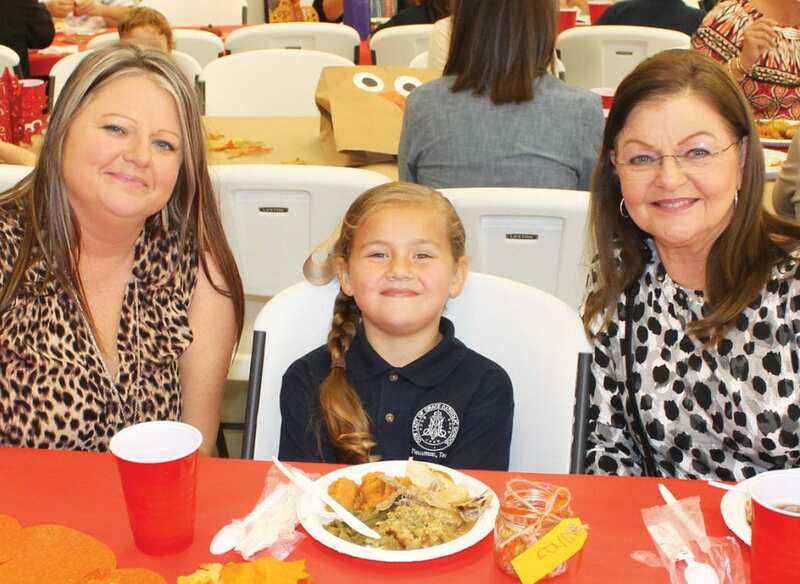 Shown from left are Natalie Shearrer, aunt, of Pleasanton; Callie Wadkins, age 5, niece and Claudia Wadkins, grandmom, of Jourdanton. 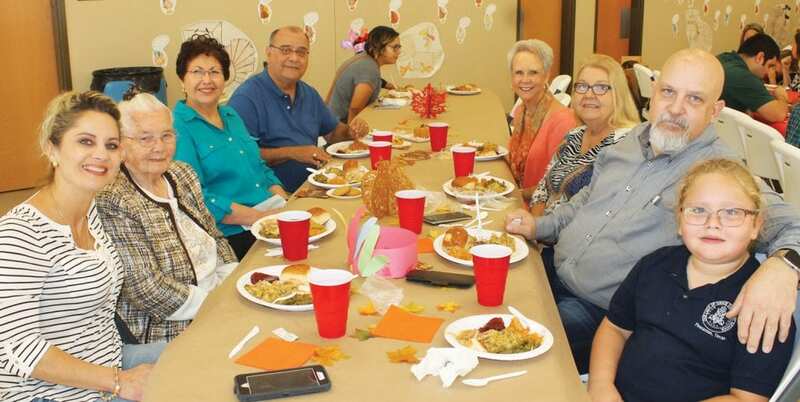 Also pictured at the annual Thanksgiving Dinner at Our Lady of Grace Catholic School are, from left: Joanie Gaenzel, Maria Gaenzel, Lydia Castillo, Roger Castillo, Glenda Gaenzel, Carrol Reeves, Trae Gaenzel and Zadie Gaenzel. 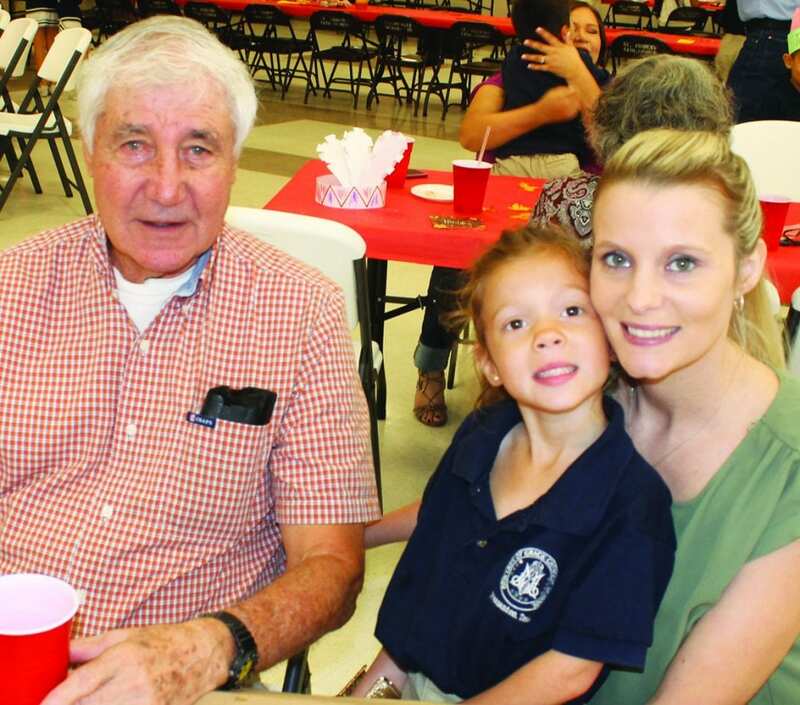 All are from Pleasanton, with the exception of Callie and Carroll, who are from Jourdanton. 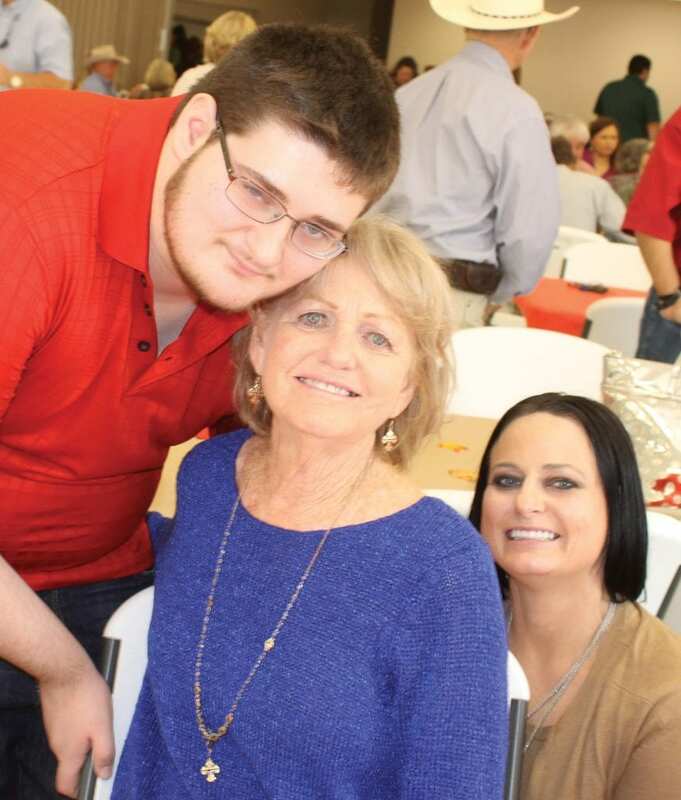 Also attending the Nov. 15 event were, from left Dalton Newsome, son; Betty Jackson, grandmother from Choke Canyon and Joanna Newsome-Gonzales, mother, of Pleasanton. 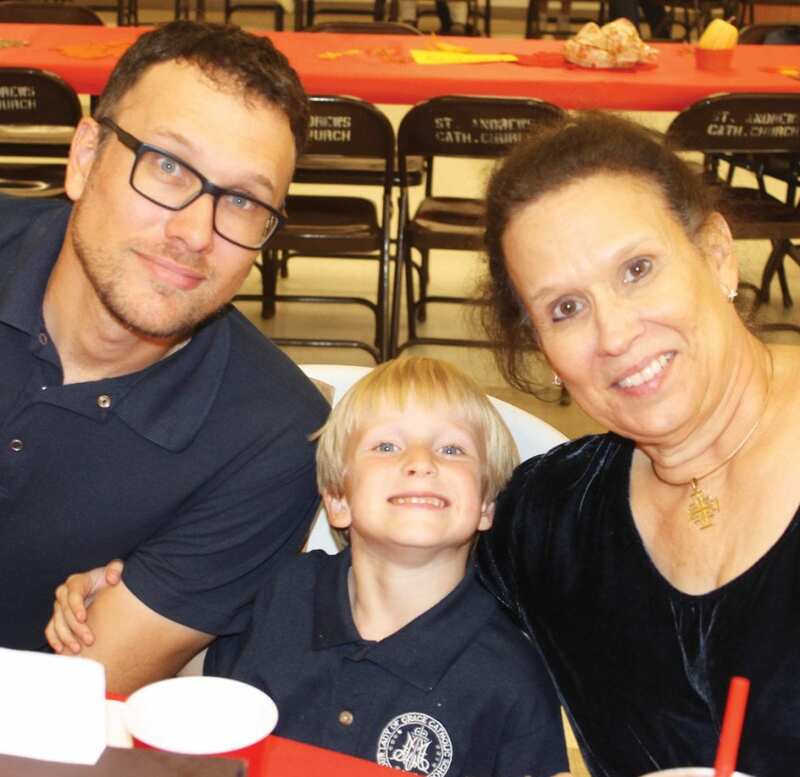 Pictured at the Thanksgiving dinner are, from left: Ryan Warnken, dad; Aidric, age 5 and Patsy Warnken, grandmom, of Pleasanton. 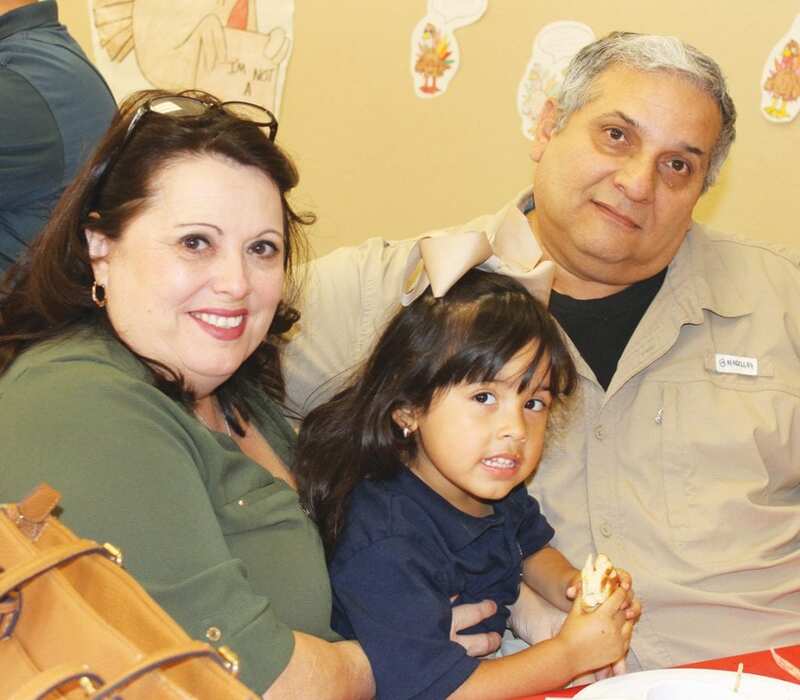 Shown from left are: Chris Pino, grandpa; Kinsley Ramirez, age 5 with mom, Charlene Ramirez, all of Pleasanton.